I have submitted the photo of a boy from a birthday party to the International Portrait Photography Contest. As a London and Kent Portrait Photographer I am naturally drawn to faces and eyes and simply love taking pictures of people. 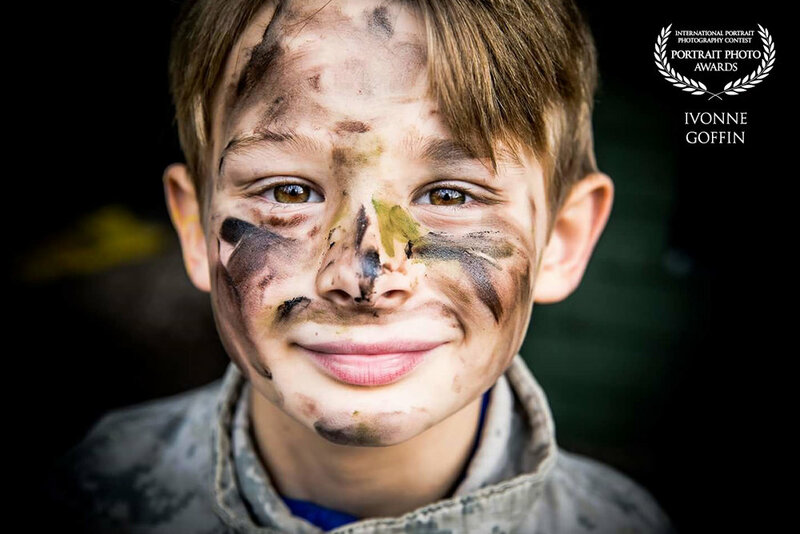 The little boy was having a blast painting his face with camouflage paint and his eyes were just the perfect match to the earthy colours. The result: a beautiful photo taken by Goffin Photography and a lovely International Portrait Photography Award 2017 to have won!